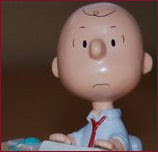 Get the Scrappy and Happy in Ohio~ widget and many other great free widgets at Widgetbox! If you are like me, you are a blog hopper. Now this is a label I am proud to bear. I do, however have a major gripe to get off. I love blogspot and the fact that I can customize my own free blog. However, this same priviledge allows others to delete the 'Next Blog' link on their own blogs and when they do my leisurely hop is over. GGGRRRRRRRR~ This is frustrating to me. So in looking for a viable blog searching solution I found this link: Google Blog Search. Alas I am a happy blog hopper once again! You know...simple minds simple pleasures. If you, too, are a blog hopper, feel free to take the following code. Just copy everything between ** and ** and then paste it wherever you want Hoppy to show up! This code will give you the smaller version of the graphic which is 150 pixels square:). 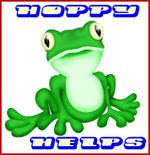 NOTE: If you put Hoppy in your blog add your URL to the Mr. Linky and leave me a comment. What a lovely Hoppy. I love to link him on my site. I`ve just forgotten to say that I have just added Hoppy to my site. Love "Hoppy" and your blog. I have linked him on my blog as well! I love this idea!! I am officially a "Happy Hopper" now, I have added the code to my blog and plan on posting a write up about it in the next few days! Thanks for sharing this with us, I bet it's going to take off before you know it and there will be Blog Hoppers all over the blogsphere!! Thanks for sharing, Phyl. This surely shows my committment to get around to all the blogs via the links at the Ultimate Blog Party. I Love Mr Hoppy...I am so glad I was ablt to put him on my site. I'm kind of new to blogging, and am not sure exactly what is going on, but he is so cute, and when my husband was younger, we always told him he looked like a frog (me and my kids) so it just seemed like family. Thank you so much for doing this! I love to read other peoples blogs. I love to blog hop!! Thanks! I love Blog Hopping, thanks for sharing. BaBaBaBa-Blog Hopping (sung to the tune of the Bee Gee's Jive Talking). I love the blog hop also. You can stumble across the neatest sites. thank you... I'm a fellow blog hopper too!!!! I love little Hoppy! I'm going right now and add him to my site. Thank you so much. Happy blog hopping! This is such cool idea. 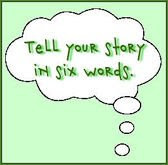 I love to blog hop and I am glad I made to your lily pad. I love blogging and am trying to do more hopping. Great idea and I am happy to post your cute little frog. Nice to meet you. Being a new Blogger I am busy hopping everywhere. Just a darling little hopper. Love your site and the Blog Hopper, I've already posted it on my blog, thanks for sharing. I enjoyed my visit to your site. 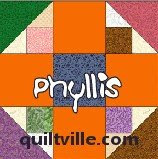 So glad to find other local quilters. Love your blog. I have a frog weakness anyway. I'm such a blog hopper! Thia ia just soo fun.. Thanks for the really great link AND Hoppy is just too cute. What a great addition to my site. I have linkt you! Thank you very much for this opportinity. 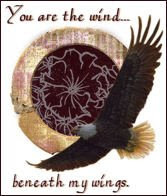 I have just found your amazing site and I have been a blog hopper for several weeks now and I am addicted. Thank you for the logo and the great blog. CUTE froggy! I'm such a blog hopper, so I will add this cute guy to my blog. Thanks!! I love your frog! What a cute little guy. I spend half of my day (it seems like it some times) blog hopping, so this is perfect for me. I added it to my blog - it's on the right-hand side about 4th or 5th spot down. Thanks so much :). Hoppy is so cute that I just added him to my blog also. I tried adding Hoppy to my blog with the html widget, but it didn't work! I've added html code before, but this one just isn't working for me. Can anyone help? The Paper Freak. How fun, I was just blog hopping and by chance ended up here. I had a nice visit and love your Little Blog hopper, so I added him to my blog and linked you up too. If this is not the cutest site.. I am computer illiterate, :)I would love to put Hoppy on my site, not able to do it. tried but just wont paste on my new blog :) 1 day old today. Just love your blog, so fun. I would love to put Hoppy on my Blog, which is 1 day old :), I am new to this stuff, I tried to cut and paste but it would not take. I LOVE your little frog hopper!!! I too am ADDICTED to blog hopping... Thanks for sharing him! Hey there, just stumbled across the blog and after reading the post I realised I am a blog hopper! Yay Im so addy the little froggy to my blog thanks! Hi, I stumbled across this blog and love what I see so far. Will add a special link on my Adult Cancer blog. Thanks for the little hopper! He's great! Hoppy is PERFECT! Thank you for letting us put him on our blogs! Thank you for sharing, he is so cute! Thanks so much. He is a cutie for sure. I had trouble getting him to hop over but finally did. Oh Hoppy is adorable! I already see some Sistah's he's hopped to! How fun! Cute frog! 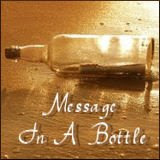 I added it to my site and look forward to peeking in on others blogs. I really need to update my blog and this is a reason to do it! 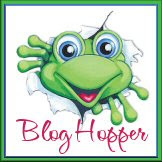 Just got your blog hopper frog on my Blog! Well - I refreshed my blog and it showed the code and not the picture on my blog - I made sure I had all the proper code and it just didn't work. Is there something you can suggest? Hoppy is sooooooo cute. TFS linked him to my site. this frog is sooooooooo cute! thanks for sharing! I joined your blog hopper your graphic is so cute and I am really enjoying your blog!!! 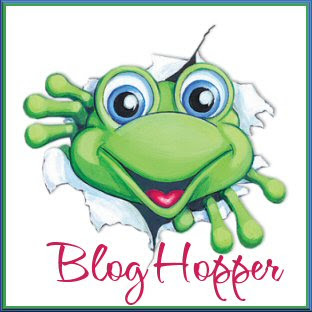 I love the blog HOPPER! I have added him to my page. Thanks! I am a newbie to all this blogging stuff but what a great idea! Thank you! I added Hoppy to my blog but I'm not sure what you mean about the email address in my "profile"? WOW!!! How cute!! What a GREAT idea!! I LOVE it!! Thanks for doing this!! LOVE your blog!! I will put Hoppy on my blog! Take care!! My cousin collects frogs, so I will happily add your "Hoppy" to my blog and my cousin will always know where this frog is! I tried but the thing did not work right. I'm a blog hopper, so that frog is now on my site! Thanks for sharing. And I am number 100! Looks like a maybe number 101 thanks for sharing, I'm gonna go put that froggy on my site too! I spend way too much of my day hoppin blogs. Thanks for this awesome frog! Love it!! Gotta love the frog! I've linked to you, thanks. Great frog. I linked it on my blog. What a fun little guy. Love your cute little frog! Put it on my side bar. Thanks! Oh, I love him. I have now linked him onto my sidebar at http://wwwmrsbsblog.blogspot.com. Thanks so much for sharing! I thought he was so cute I just had to add him to my blog. Added the icon and you....too cute..tfs!! Love the blog hopper and I sure love to hop blog to blog looking for ideas especially in scrapbooking. I have added Hoppy to my site! Proud to be a blog hopper! You are the best! I am new to this blogging thing and your site is lovely! I have the blog hopper on my site. Do you know how people make those awesome blinkies and where I can get one. I just became a follower. TFS! I Love Hoppy. Thanks so much for sharing him. Love this blog frog..thanks a bunch! I just added my blog i like blog hopping love looking at everyones great ideas. I put the blog hopper on my site at http://handmadewithlove-lisa.blogspot.com. He is so cute and I am in my first ever blog hop starting on Wednesday. Thanks so much! He will defiantly be on my site thank you for sharing. I love him!! He's too cute!! He's too cute! Thanks so much! What a cute little frog. I'm adding the link. This is a great idea. O...kay...I am a FROG lover/collector! This frog is so CUTE!! I am excited to be "linked". Visitor to meee blog are wunnyfull! This little blog hopper is so cute. I have linked him and you on my site. I think this is a great idea!! I have linked you up on my right side bar on my blog. I also have a great blog link up party! If anybody gets a chance, feel free to check it out! I'm actually quite phobic of frogs, but gosh isn't yours the cutest!! I'm a bit of a blog hopper and love your blog (I just found it whilst hopping by) and am going to add your link! Thanks and have an awesome week! I love this little Blog Hopper Button! Thank you so much for sharing!!! If you have time hop over and visit my frog! I've added the little Hoppy, thanks for sharing. Thank you for froggy, he's so cute... well I'm off to hop. Found your Froggy on another site and had to have him :) Thanks :) Love your blog :) New follower! What a cute little guy. Just cheers up any page. thank you for sharing. I put the link on my blog. Thank you for Hoppy, I just added him to my blog!!! I love checking out blogs for card and crafting ideas! I am a newbie to blogging. I have added your little frog. Thanks for Hoppy!!! I am in the process of revamping my blog to Blog Hops and Challenges only so this is a real big help. I also linked up to your blog. This little blog hopper is going to be so happy at my blog, thank you for sharing it. I am a SAHM who loves creating-especially with fabric. I am proud to be a Navy mom! God is good and I love looking for miracles in every day life. 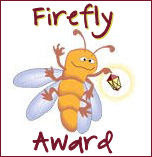 I am a moderator for quiltvillechat@yahoo groups; owner/originator of Hoppy & Hoppy Helps, The Firefly Award, S&H's Linky Love, BADD, Share A Site SaturdaY Meme(SASSY), & the Wind Beneath My Wings Award. I also do graphics for people as part of Pay-It-Forward.